The Following specials should be mentioned on initial appointment setup for your estimate or at the initial estimate. 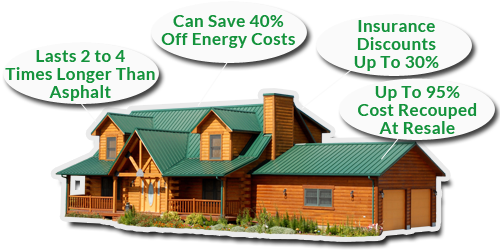 $100 off any Roof over $2,000 in costs. $200 off any Roof over $3,500 in costs. $500 off any Roof over $5,000 in costs. $1000 off any Roof over $10,000 in costs. Senior Citizens discount of $150 off price of any roof installation. Military Discount of $150 off price of any roof installation. We already offer the most affordable prices in the business combined with these specials on Metal Roofing installation and Shingle Roofing installation you’re looking at getting a truly unbelievable price! Note: Special offers can be Combined for instance if you’re a Senior Citizen getting a roof installation of over $5,000 dollars you would receive a total discount of $350!. Competitive Edge Roofing is dedicated to quality work, as well as customer satisfaction, Contact Timmy Weaver today at (336)-504-2776 to setup a free no-obligation estimate for your home today!